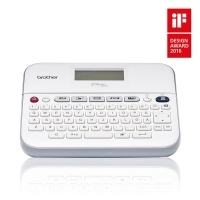 Description The P-touch D400 effortlessly produces labels for your office whenever they are required. With its fast print speed and large print height, you can quickly produce bold, easy-to-read labels. Clients who made a similar purchase often chose these too!